Prime Minister Theresa May is in “listening mode” and there is optimism that a Brexit deal can still be reached, the DUP has said. Party leader Arlene Foster and her deputy Nigel Dodds met Mrs May at Downing Street on Thursday morning. She is holding talks with parties from across Parliament as she seeks to reach consensus on Brexit. Mr Dodds said engagement with the prime minister had been “good” and talks would continue. It is the insurance policy to avoid a return to a hard border between NI and the Republic of Ireland, if no other solution can be found through a wider trade deal with the EU. The DUP has said the backstop would create a border down the Irish Sea, by placing checks on some goods coming into Northern Ireland from Great Britain. 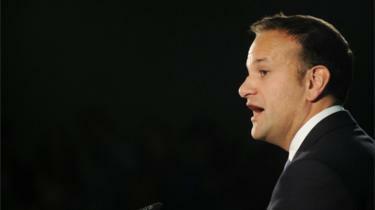 It believes any differences for Northern Ireland could threaten the integrity of the union. Meanwhile, Sinn Féin leader Mary Lou McDonald has accused the UK government of a “blatant disregard” for Irish interests and the upholding of the Good Friday Agreement. Mrs McDonald dismissed a claim by former Brexit secretary David Davis that the government had “a blind spot” when it came to Brexit and Ireland. “The hostility has been absolutely manifest for some time now,” she told BBC Radio Ulster’s Good Morning Ulster programme. 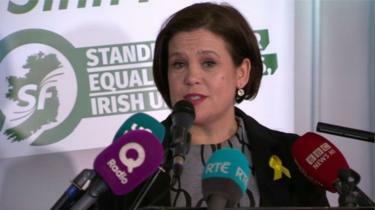 The Sinn Féin leader added that the “British state… has more than a blind spot” concerning Ireland. 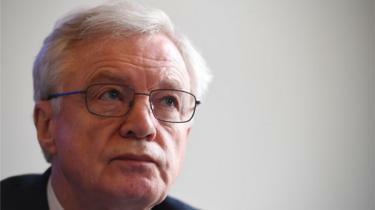 What did David Davis say? On Wednesday, Mr Davis told MPs on the EU scrutiny committee at Westminster that the government had failed to understand Ireland’s difficulties with the Brexit issue for two reasons. He cited the lack of a Stormont executive and Leo Varadkar taking over as Irish prime minister in June 2017. Mr Davis said the changes meant his former department had become “unpredictably handicapped”. The former Brexit secretary said he now believed the government should have put more resources into the issue. Mr Davis said his officials had not initially seen it as a big problem for the Brexit process because at the time, the department had a good working relationship with the then Taoiseach (Irish prime minister) Enda Kenny. Mr Varadkar took over from Mr Kenny as Irish prime minister a year after the EU referendum was held. 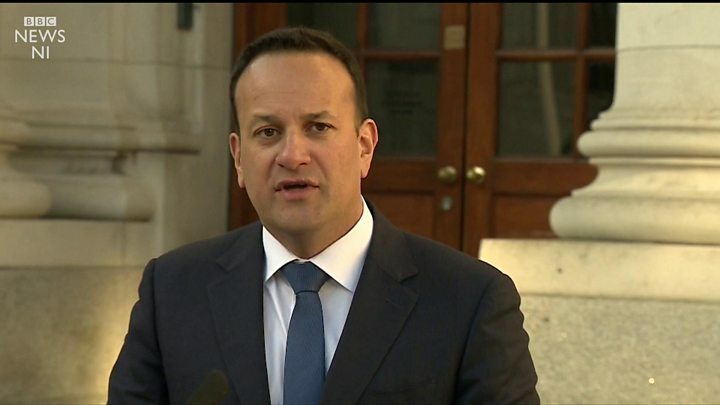 “The original taoiseach took a slightly more constructive approach than came later… the attitude of the Irish authorities in the first year was different than what came later,” he said. “It might be a coincidence that it changed at the time Mr Varadkar came in, or it might have been his drive. “Either way, it changed and we probably didn’t react quickly enough, without the Northern Ireland executive sitting on the joint ministerial committee… there was a blind spot there,” he said. In the absence of executive ministers, the head of the NI civil service David Sterling has attended meetings with officials from across the UK to discuss Brexit planning. Mr Davis, who resigned from the cabinet last July over the prime minister’s Brexit plan, said there were not many things he would change during his time as Brexit secretary. But he said that, with hindsight, he would have put “more resources” into dealing with this particular issue.